How completely gorgeous would this be as a wedding gift?!? I love anything that is Monochromatic! 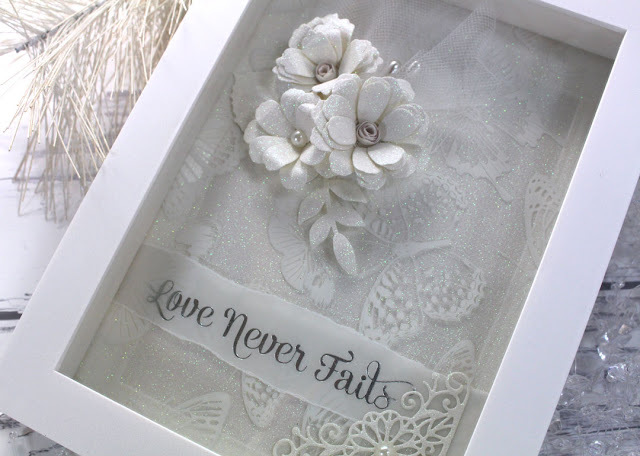 I used an 8 x 10 shadow box, lined with Flutterby Acrylic cardstock. Quilling Flowers were die cut from Luxury White Glitter cardstock. 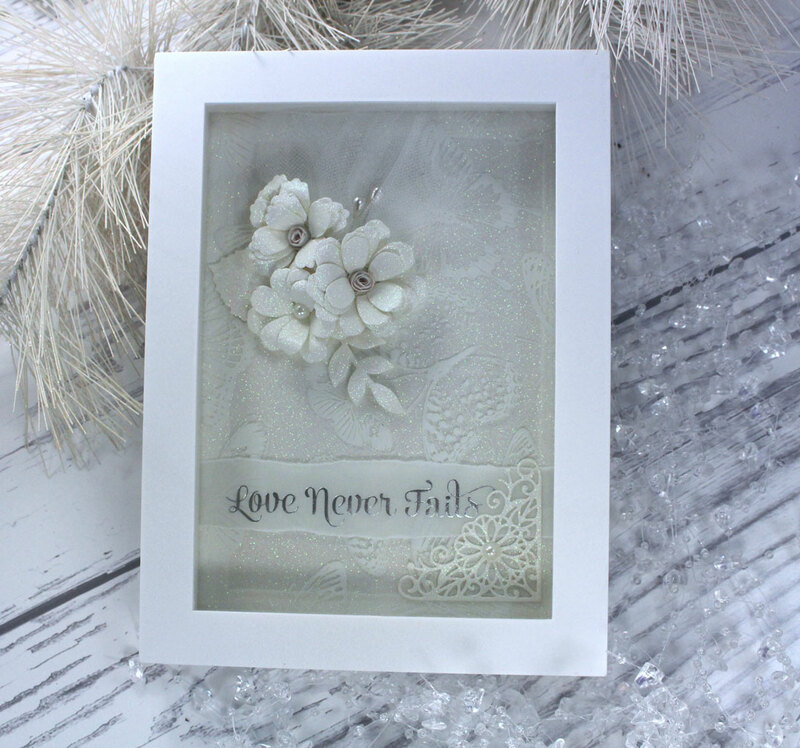 Vellum sentiments and a pretty corner die along with a few faux pearls.